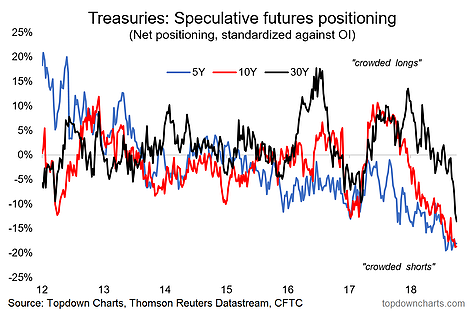 Three quickfire charts on US bond market sentiment...some of these sentiment charts are clearly at an extreme - and that's usually when you go looking for contrarian signals. But then I look at a lot of charts on the bond market and it's quite easy to make a case for a major trend change. 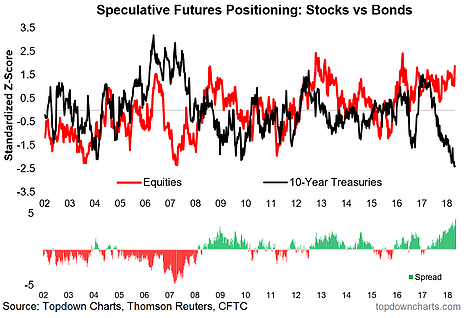 The standout here is speculative futures positioning in the 30 year, which has gone from neutral to extreme short. Total capitulation. This one shows where equity vs. bond market futures positioning lies right now - notice how the gap is at a record high. Traders are doubling down on growth/inflation here. 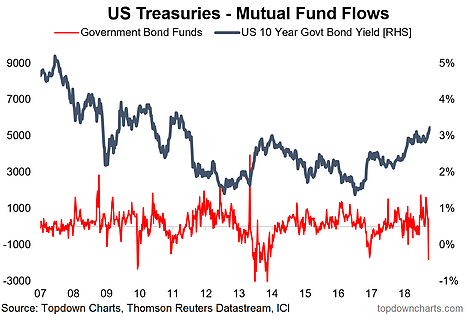 Last one shows a massive lurch in bond fund flows, with net-outflows the most extreme since the taper tantrum.